Contracting officer’s representatives, program/project managers, contracting officers, and industry contracting personnel — all should attend the Contracting Education Academy’s popular 5-day course offering entitled the Contracting Officer Representative and the Contingency Contracting Environment. Students attending Georgia Tech’s classes work in teams to tackle real-life contracting problems. The Contracting Officer’s Representative course (COR 222), coupled with the Contingency Contracting Environment class (COR 206), provides a comprehensive review and detailed instruction on the role, responsibilities, authority, and limitations of authority of the federal government’s Contracting Officer Representative (COR). Students learn the fundamentals of contracting regulations, types, phases, and other elements of contract administration. Students are also coached on the ethical and legal factors that impact COR responsibilities in the normal course of business and in the Contingency Contracting Environment. The Contracting Education Academy at Georgia Tech is offering the COR course (COR 222/206) on March 18-22, 2019. This course is taught at Georgia Tech’s world-class Global Learning Center in midtown Atlanta. Contracting officer’s representatives, program/project managers, contracting officers, and industry contracting personnel who interface with contracting officers and contracting officer’s representatives. How to review contract terms and conditions. Each party’s role and responsibility in contract administration. Proper documentation and approvals for contract changes and modifications. How to monitor contract expenditures. How to manage ethical and legal issues in the contingency contracting environment. Recognizing the COR’s responsibilities in acquisition mission support planning. Understanding the contract award process. Identifying the unique characteristics and monitoring protocols for construction contracts, major systems and R & D acquisitions. Evaluating a contractor’s compliance with performance terms and conditions. Handling cultural taboos in a contingency environment. The process for reporting bribery, kickbacks and other illegal acts. Provided to each student are a printed guide book with supplemental learning material, exercises, case studies, and handouts, and exclusive web-based materials. The Contracting Education Academy at Georgia Tech (The Academy) is an approved equivalency training provider to the Defense Acquisition University (DAU) and provides continuing education training to Acquisition and Government Contracting professionals as well as to business professionals working for government contractors or pursuing opportunities in federal contracting. This course is DAU-equivalent training satisfying both FAC-C and DAWIA certification programs. Former Secretary of Defense Donald Rumsfeld once explained that there are the known unknowns and the unknown unknowns. Some greeted that gnomic pronouncement with bemused smiles. But contractors operating in a contingency environment know exactly what he was talking about. No mere mortal can accurately predict, much less price, all of the risks involved in supporting and accompanying the military in various hot spots around the world. Planate Management Group, LLC v. United States, a case currently before the Court of Federal Claims (COFC), is a good example. In Planate, a contractor providing support services in Afghanistan has asserted claims for the cost of arming its in-theater personnel when the security situation changed dramatically for the worse. In light of deteriorating security conditions in Afghanistan, including a fatal insider attack, the military issued a new security directive. To comply with that directive, the contractor purchased weapons to arm its in-theater personnel. The contractor submitted a claim to recover the costs of arming its personnel. The government denied the contractor’s claim, and the contractor filed suit at the COFC, alleging (among other things) that the changed security conditions amounted to a cardinal change. The COFC denied the government’s motion to dismiss for lack of subject matter jurisdiction because the contractor had properly presented its claim for a cardinal change to the contracting officer (CO). Claims for cardinal changes to the contract are rarely successful. Although the court considered only whether it had jurisdiction to hear Planate’s allegations and has not yet addressed the merits of Planate’s cardinal change theory, the case offers an interesting and potentially promising approach for contractors to recover when they experience major changes to the circumstances under which they are performing. The Department of Defense has issued a class deviation raising the micro-purchase threshold to $10,000, effective immediately. The increase implements Section 821 of the 2019 National Defense Authorization Act, which was signed into law last month. The memo explains that there are a few exceptions to the standard $10,000 threshold. 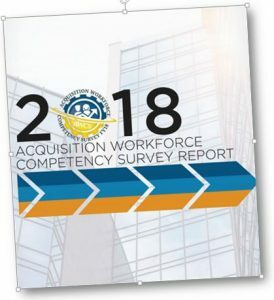 The government’s civilian acquisition workforce, long under pressure to improve hiring and modernize its skill sets, is feeling more satisfied with its own effectiveness, according to the latest biennial Acquisition Workforce Competency Survey released last week. Click on image above to see report. Considered the most comprehensive version of the survey yet (an 83 percent increase in response rates across agencies), it showed that the buyers rated themselves highest for issuing contract order changes and modifications, awarding contracts and competition. Also rated highly were inspection and acceptance and business acumen, said the results analyzed by a partnership between the White House Office of Federal Procurement Policy and the Federal Acquisition Institute. 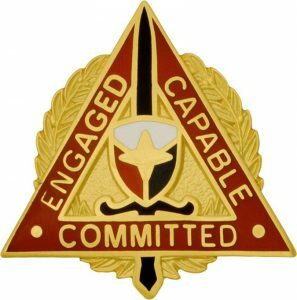 Areas rated the lowest in proficiency included negotiating forward pricing rates agreements and contracting in contingent or combat environments. The Contracting Education Academy at Georgia Tech is offering the COR course (COR 222/206) on November 26-30, 2018. This course is taught at Georgia Tech’s world-class Global Learning Center in midtown Atlanta.